When doing guerilla marketing and having a unique vessel of delivery means you must find a way to attract passersby. 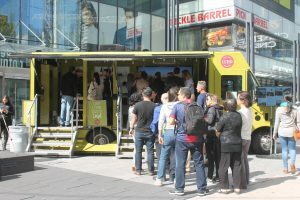 Since most often we are in the hustle and bustle of city centres there must be wow factor added to every marketing campaign to attract the busy on the go commuters. So rightfully one of the biggest questions we ask ourselves is how do we attract people to our activation, whether it’s mobile or static? The first thing comes to my mind for me is the “Wow Factor”. By definition “Wow Factor” is a quality or feature of something that makes people feel great excitement or admiration. And it is that excitement that draws in the crowd. Creating an attractive and exciting display can draw consumers in, promote brands and products and create a rich customer experience. 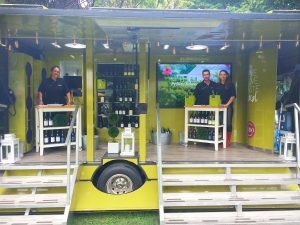 Here at Jam Van we are fortunate to have a mobile showroom that allows us to be more than a display window in a storefront or an ad on a billboard which in turn is a big proven form of advertising. 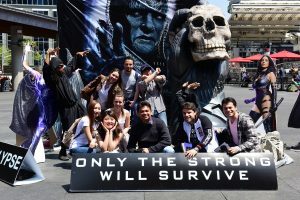 For me there are two main components to create the ultimate “Wow Factor”which are; an eye-catching production and the cast and crew to bring the people in. Creating an eye-catching production that delivers on the wow factor takes teamwork and lots of time to go through ideas on how to capture people’s attention. The attention to details including displays, props, billboards, and various assets is a huge partaking. 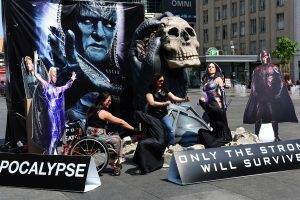 One such activation that comes to mind was for the X-Men Apocalypse movie where after brainstorm sessions the team decided to build a 9-foot-tall scull in the hand of arch villain Apocalypse. 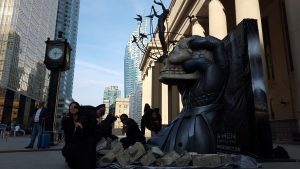 The process to build this out was long and tedious and I won’t lie I was nervous about how this would turn out but the artist/sculptor hit a home run. It was a spectacular sight and it definitely delivered the “Wow Factor”. It was a 360-degree piece that attracted people from all corners of the streets and venue spots that we hit. Step one complete; we have visibly wowed the crowd. Unfortunately, a beautiful display is nothing without its supporting cast. Our coordinators do an amazing job at finding the right Brand Ambassador and Team Leads to bring our productions to life. This is like finding the missing pieces to a jigsaw puzzle. How do you find the right people for the campaign that will compliment the visual aspect and bring everything to life? Creating a great story line to go with the consumer experience is the way to go. For the most part you want to find enthusiastic and lively people who can reach out to consumers and bring them in for the enhanced one on one experience. I look at the formula used by Disney World where the staff are known and referred to as “Cast Members”. Cast members don’t break from their characters when engaging with the public. This is hard to do but when we have a BA’s and Team Leads that stay true to the task at hand then that equals success! This was delivered in an elegant way when we did a campaign for the LCBO promoting Ontario wines. 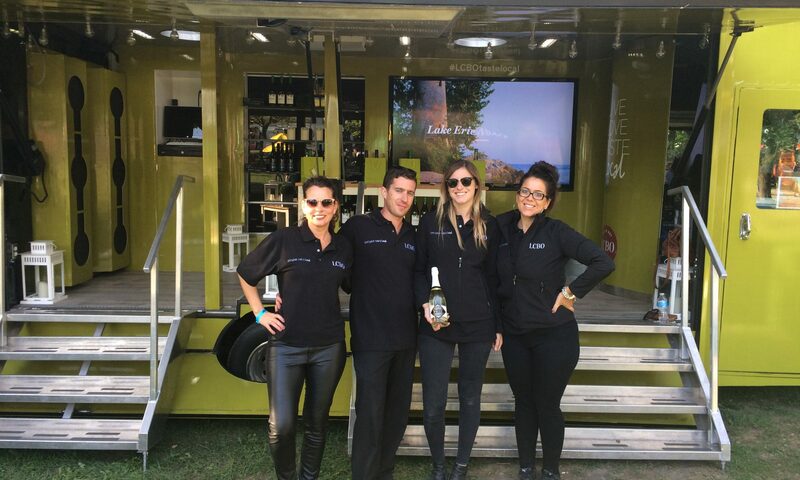 Our uniformed Brand Ambassadors were enthusiastic and friendly and engaged with consumers in an inviting way. 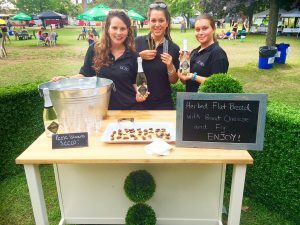 Not only did they create a buzz but they convinced people to take pictures and post to social media and stand in lines that were often 30 people deep for their chance to taste a few of the great wines that Ontario wineries have to offer. Step 2 after attracting people was the main show which was a taste testing that featured two sommeliers who were on board at two different tasting stations. 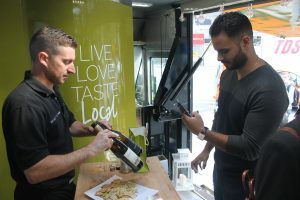 They provided the enriched experience by educating consumers on the various featured red and whites, which included food pairings for each wine and answering their questions. Some would say the wine sold itself but without the supporting cast there would have been a less enthused crowd. And believe it or not with one serving per day policy people would find us again the following day to try a new wine and learn more about the them. And there you have it my two golden criteria to creating and delivering the wow factor. If you can have the right cast that can stay in character and a good director (Team Lead) and an eye-catching display to suit your brand then you’re on your way to completing the “Wow Factor”! Want to Promote Your Brand? Choose Experiential! Experiential Fresh with Summer Fresh! 2019 © Copyright Jam Van Inc.